A cross of Romulan Diesel and Sour bubble. A connoisseur's strain, Chimney Boy is powerful medicine. Top bud dominant growth makes it a good choice for a sea of green garden. Sensitive to fertilizers, Chimney Boy prefers a lighter nutrient regimen. The buds mature quickly, ripening in 50-55 days. Approximately one third of the plants will develop purple colours depending on conditions. The finished buds are covered in trichomes. Most of the phenotypes will have a strong citrus skunk taste, and aroma. The high is a powerful indica stone and is good for pain relief. This is a back cross of the classic Mikado, from the defunct Federation Seed Company. The Mikado clone used has a sweet raspberry flavour when grown properly. 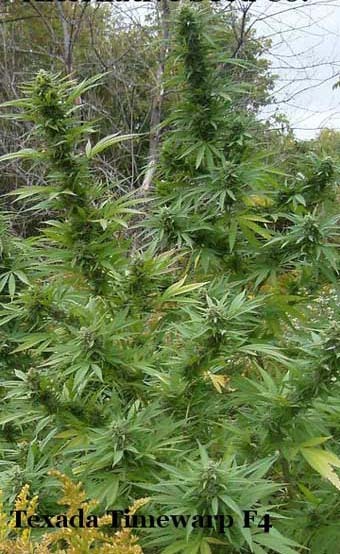 Mikado Bx is a vigorous growing Indica dominant plant. Naturally growing branchy, it benefits to be grown as a multi branched plant, topped or trained. The branches might need support, as buds pack on weight. Eight weeks of flowering to maturity, with an above average yield. The finished buds have an impressive resin content. Most of the plants have a sweet fruity hash flavour. Approximately 20% of the plants will have a similar flavour to the Mikado clone. The high is narcotic and long lasting. The SFV OG Kush x Blue Satellite 2.2 mother was selected for its incredible resin production, huge yields and killer buds. This plant is my holy grail and is my attempt at capturing some of their greatness. The Chemdog IX III male helped maintain the superior potency and bud production. SFV Blue Chem is a very fast growing plant. If left untopped it can grow quite tall growing into the classic Christmas tree shape. Ten weeks of flowering to maturity is well worth the wait thanks to the yield and quality this strain delivers. When the plants are nearing finish, buds take on purple and blue hues. 25% of the plants turn fairly purple depending on conditions. This strain is great for the cash cropper or connoisseur. The finished buds have a complex, musky, hashy, berry flavour. The high starts off as a soaring head high rounding out into a full body stone and is very medicinal. This is an inbred line containing original Texada Timewarp genetics. Timewarp dates back to the 70s, originally grown on Texada Island in B.C. This Canadian legend has stood the test of time and is a true favourite amongst long time outdoor farmers. These buds are what made the strain so famous. The high hits you right behind the eyes and is very heady and strong due to its sativa nature. The buds are heavy and have a wonderful lemony floral taste and aroma. The plants have the potential to grow very large. The branches grow long spears of buds that are highly mould resistant. This strain practically grows itself outside. Its genetics are very hardy, as proven outdoors. The harvest window runs from Sept 20th to end of September. Yields are potentially very high and are perfect for the Canadian climate.